Brazil’s National Museum fire earlier this month was like “a lobotomy of the Brazilian memory” said a curator, as much of its archive of 20 million items of historical and scientific importance is believed to have been destroyed. Often when there is a disaster of this magnitude it precedes, with eerie syncronicity, a seismic change in the country. The upcoming October elections are in chaos with the left-wing mired in corruption scandals and the right-wing candidate suffering life-threatening injuries last week from a stabbing while on the campaign trail. 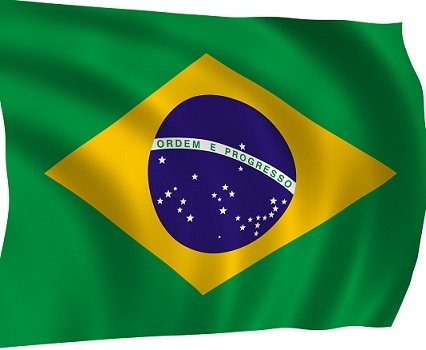 The Brazilian currency is on a fast downward slide and the economy at extreme risk. There is even talk of a possible military takeover at some point. The Brazil 7 September 1822 4.30pm Piranga chart has been undermined this year by tr Neptune opposition the Virgo Sun, which will be in place across the election (October 7 to 28) repeating till early 2019; as well as tr Saturn square the Pluto conjunct the Neptune Uranus, the latter also across the election first round. 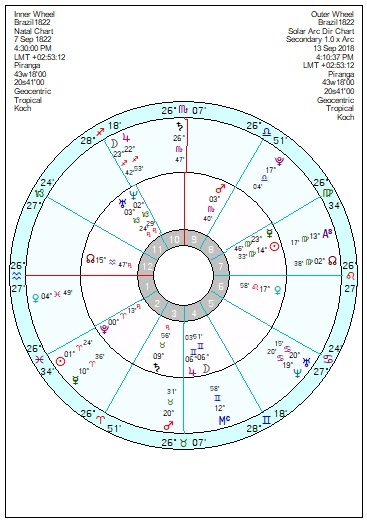 2019 and 2020 look extremely unsettled with major confusion then a considerable jolt with Solar Arc Sun square the Brazil Neptune and then Uranus; and tr Uranus opposition the Mars in 2019 and then conjunct the Saturn in Taurus in 2020. That looks prone to violence and military interference. 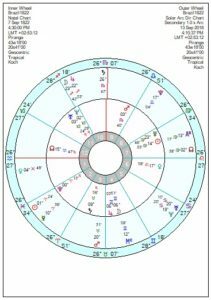 The military coup of October 1930 also had tr Saturn in early Capricorn; and the coup of 1964 has Solar Arc Saturn square the Brazil Neptune Uranus. Conditions don’t look quite as severe at the moment as either earlier coup but the country won’t be finding its feet until at least the early 2020s.